SWIM — Enjoy a day at the pool with the whole family at the Indoor Aquatics Center. 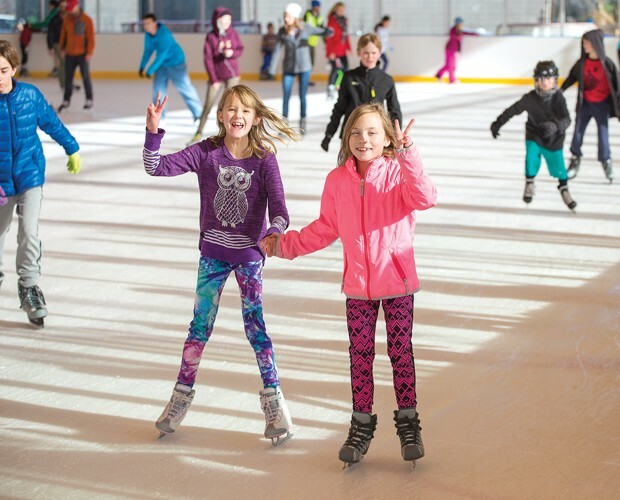 ICE SKATE — Open skate sessions are open to all ages and abilities, however, children 6 years and under must be supervised by a responsible person 14 years or older. Skate rentals available. PLAY — Parents are encouraged to participate in this open-play time for kids up to 5 years old. ART — Make a mess with pastels, paints, cardboard, wood and upcycled items. Perfect creation activity for ages 1.5 to 5 years old. LEARN— In this chemistry class, students will learn how to identify and separate solids, liquids and gases using chemical properties, chromatography and distillation. They will also gain an understanding of the chemistry of candy by releasing the energy stored in sweets and touring Goody's candy factory. For students in grades 3, 4 & 5. Pre-registration required. STORY TIME — Little kids will enjoy this story time, with a different book featured each week, followed by an art-making experience inspired by the story. Perfect creation activity for ages 1.5 to 5 years old. Backpack Explorers at the High Desert Museum. 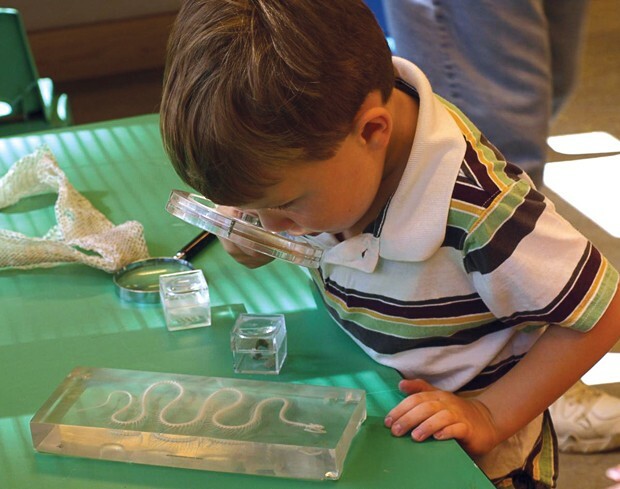 EXPLORE — Children ages 3-5 and their caregivers investigate science, art, music, stories and culture in a fun, hands-on manner. Foster artistic expression in your little one and take home activities to continue the learning. New themes weekly. RUN — All moms welcome — with or without strollers! Join other mothers for a 2- to 4.5-mile run at 8- to 12-minute paces. This is a fun and encouraging group for moms of all running levels. Rain or shine. Open Skate at the Pavilion. ROLLER SKATE — Enjoy three full hours of entertainment the whole family will enjoy! ART — View local and regional art, on display at downtown businesses every first Friday of the month. Enjoy artist talks, live music, libations and food. Starts at 5:30pm. NIGHT OUT — Kids get Juniper Swim & Fitness Center to themselves for a night of pool play, crafts, games and a movie screening, supervised by JSFC staff. Suitable for ages 3-5. Juniper Swim & Fitness Center | Pre-register: $11-$13.20 or Day of: $14-$16.80. FARM— Come for a visit at the farm! Rainshadow Organics is open all winter long (November-April) on Saturdays from 11am-3pm. At the store you'll find: fresh vegetables, pasture-raised eggs, frozen meat goods from local artisans and don't miss the wood-fired pizza from the farm's flour, veggies, and meat for $12/person, weather permitting. SWIM — Enjoy the Juniper Swim & Fitness facilities, for a night of free family fun! All ages. Jr. 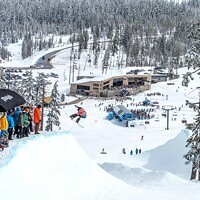 Snow Ranger Program at Mt. Bachelor. SNOWSHOE — Join a U.S. Forest Service naturalist for a free 90-minute interpretive tour. Learn about winter ecology at Mt. 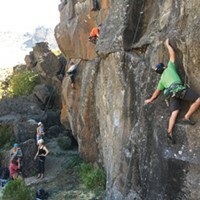 Bachelor and the geology of Central Oregon, the Deschutes National Forest watershed and the plants and animals found throughout the area. Snowshoes provided. Suitable for ages 10+. BUILD — Encourage birds to nest near your home! Learn about native backyard birds before making your own nest box to take home. Building materials provided. Cost includes materials for one box and two participants. Suitable for ages 8 and older. Tube on down at SHARC's Blacklight Blast. 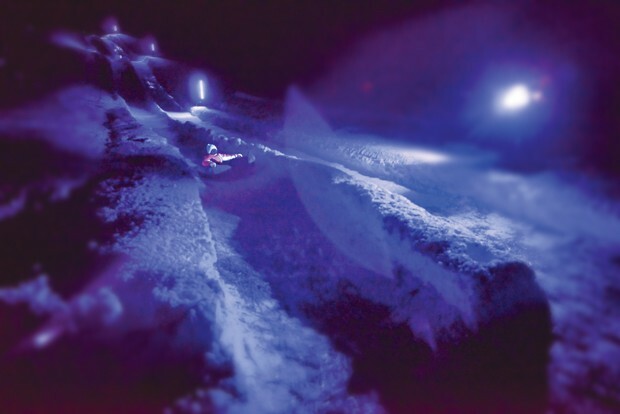 GLOW — Experience SHARC's Winter Tubing Hill — at night! Black lights, glow sticks and flood lights will light up the runs for an evening you won't want to miss — snow or no snow! BREATHE—This series of classes over four weeks is for postpartum moms to come together to share, learn and help one another navigate the journey and practice the four pillars of BIRTHFIT: Fitness, Nutrition, Connection and Mindset. Meets Mondays and Thursdays 5:15-6:30pm. Non-mobile babies are welcome. 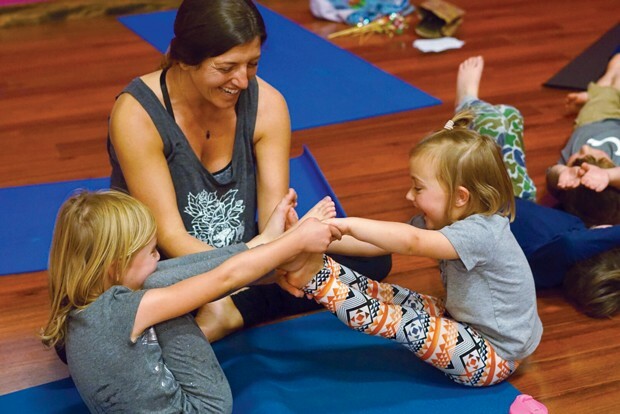 YOGA — Drop off the children for a night of yoga, dance, mindfulness and play, designed to cultivate presence of mind, heart and body. Ages 4-12. MUSIC — Local music students and professionals are invited to a music workshop hosted by Georges Bouhey with an opportunity to meet and learn from saxophonist, Paul Taylor. ADVENTURE — Kids will enjoy sledding, skating, adapted biking, bowling, arts and crafts and games. Suitable for ages 6-13, all abilities. Bring the whole family to the Old Mill Feb. 15-17 for Oregon Winterfest. 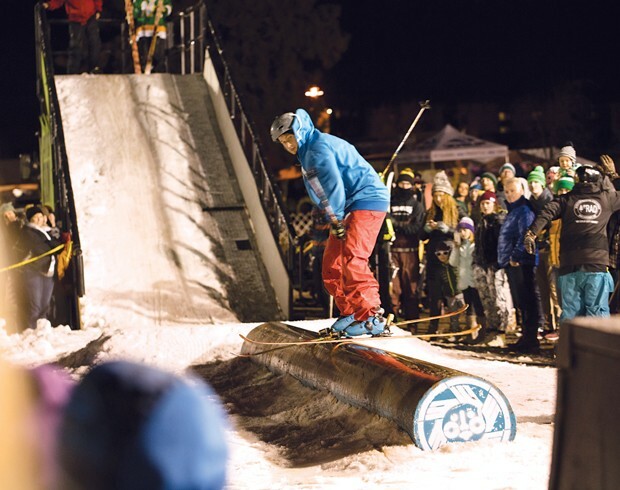 FESTIVAL — Bring the whole family to enjoy the festivities at Oregon WinterFest! Aspiring princes and princesses will have a blast at the Kid's Hot Cocoa Run on Sunday, Feb. 17 and enjoy participating in fun science experiments and presentations at the OMSI Science Tent. Other live entertainment includes JD Platt's K-9 Kings, the 10 Barrel Rail Jam and the live music stage, featuring the BoDeans, Precious Byrd and more! FUNDRAISER – Help bring the lifelong love of reading to kids in Central Oregon! The SMART Sip brings together community members and SMART Supporters for an evening featuring tastes of beer, wine, and spirits and an opportunity to learn more about SMART. You also won't want to miss the silent auction and gift certificate library featuring Central Oregon favorites! Tickets are limited. THEATER — The students of Beat Children's Theatre perform Honk! Jr., a heartwarming celebration of being different that is sure to delight audiences of all ages. MAKE — Explore how people a century ago performed the making and mending of clothes, quilts and other textiles. SNOW — Join Deschutes National Forest for a family-friendly outdoor excursion! 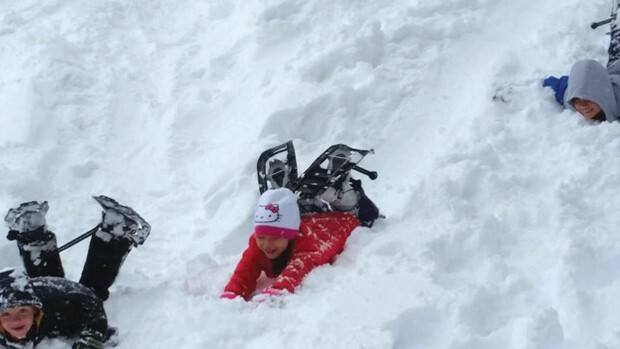 Kids will explore their winter wonderland and train to be a Junior Snow Ranger — from snowshoeing, winter safety, wildlife tracking, winter ecology to winter fun. VOLUNTEER — Teens will work together to make their community a better place, learning leadership skills to help them achieve their goals. Open to 6th-12th graders. FILMS—Does your family love the outdoors? Be inspired by this two-day event benefitting the Environmental Center. 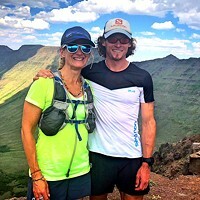 Mountainfilm on Tour travels year-round with a selection of short independent documentary films from the most recent, annual festival in Telluride. Tower Theatre | $22 (advance), $40 for both days. LEARN — Enjoy a full, fun day at the High Desert Museum — free of charge! BAKE — Learn to make Danish Aebelskivers — traditional pancakes shaped like spheres — with your child, ages 6 and up. OUTSIDE — New parents, kick start a healthy life enjoying the outdoors and get your little ones outside in nature. The program is geared for new families with infants and toddlers, from birth to 3 years old. MUSIC— Founded in 1981, the platinum selling band, Sol de México, have broken countless barriers in mariachi music, including becoming the first mariachi ensemble to be nominated for a Grammy. Bring the family to enjoy this traveling cultural icon that symbolizes extraordinary musicianship enjoyed by all. 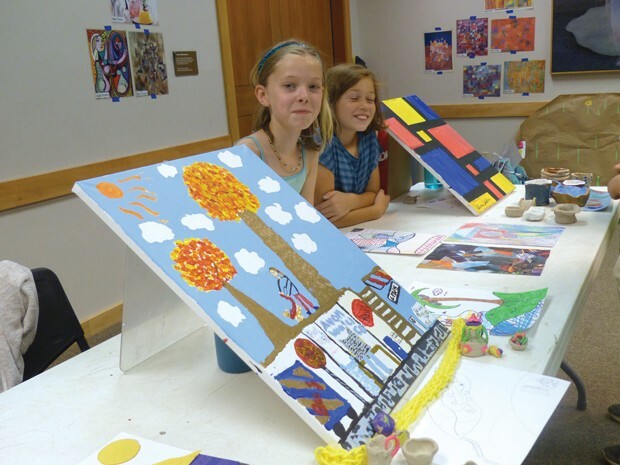 Kids love the High Desert Museum's Art Camp. 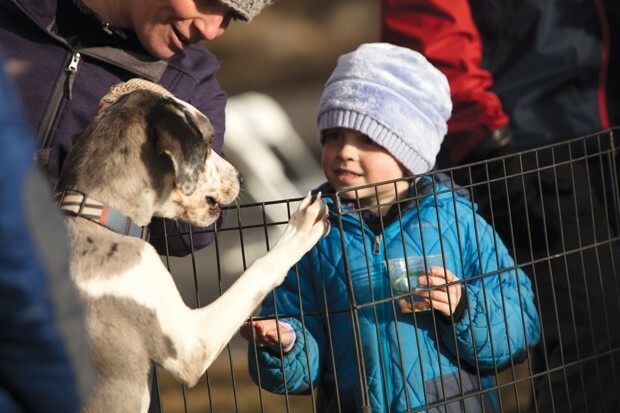 PLAY — Uncover facts about animals through imaginative play, exploration, songs and stories with the Children's Forest of Central Oregon and Wildheart Nature School. Ages 3-5 with adult. 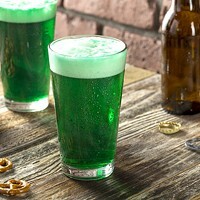 Get decked out in green for the St. Patty's Day Dash on March 17. FUN RUN — The 8th Annual Mt. 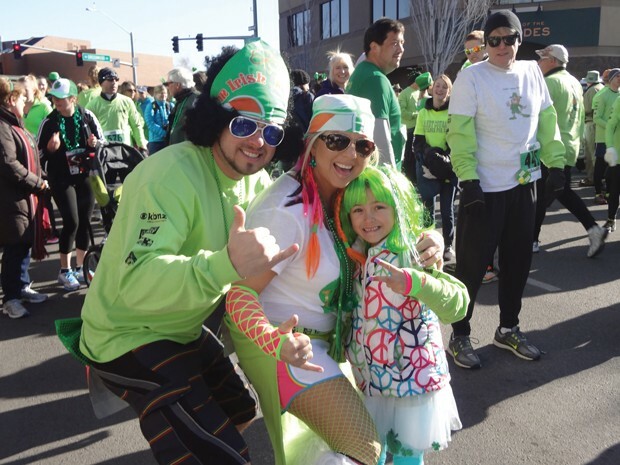 Bachelor Rotary Club St. Patrick's Day Dash is a family-friendly 5K run in Bend, benefitting the Family Access Network, a nonprofit that offers assistance, possibility and hope to Central Oregon families in need. Plan ahead! When school's out, kid's just wanna have fun! Check out these websites for spring break camps and make sure your child has a memorable week off. 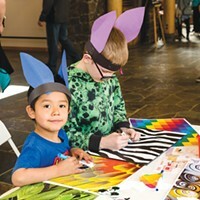 Bring the whole family to the Old Mill Feb.15-17 for Oregon Winterfest.